Birds of Paradise, originally uploaded by DianthusMoon. 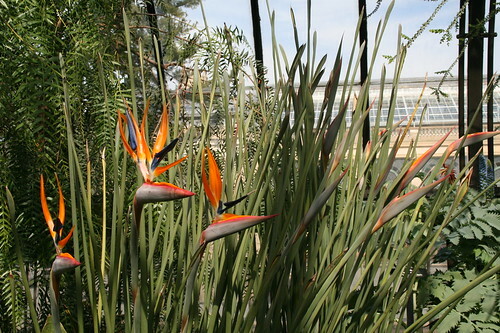 Here are some Birds of Paradise flowers at Longwood Gardens opened on the left with their ‘plumes’ on the top and ‘beaks’. I don’t remember ever seeing them closed up, but they certainly are very bird-like.